GREAT WHITE poster puts things into a more realistic perspective! 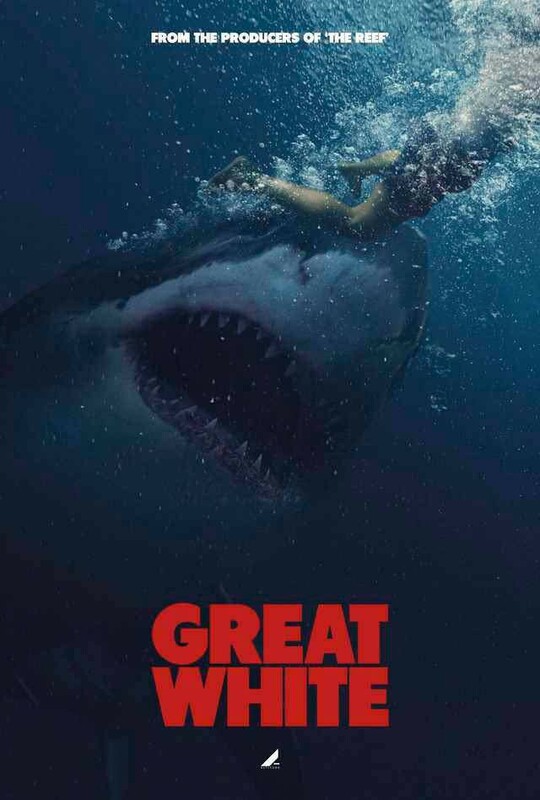 Hey folks, Deadline Hollywood has news of yet another beast movie coming our way... this time it's GREAT WHITE, from the makers of 47 METERS DOWN and THE REEF. GREAT WHITE is directed by Martin Wilson (ROLL) from a screenplay by Michael Boughen (KILLER ELITE). No word on casting yet, but GREAT WHITE's story centers around a seaplane charter that becomes stranded near a patch of ocean where great whites are in abundance. The five survivors must work their way towards land with minimal supplies and aggressive sharks hunting them. The shark looks unusually realistic to scale, which is refreshing. The film's distribution rights are currently on market at Cannes (no release date is set at this time). Read the Deadline Hollywood article here.